This section features our complete list of song collection posts. If you’re looking for a particular style of song check out the lists below. Each guitar song collection was curated and organized in a way that makes it easy for you to listen to the song and find the tabs to play it. Each list contains the name of the song (linked to either YouTube or Spotify) the artist, the Ultimate-Guitar tabs, and the Guitar Pro tabs if applicable. This page will continually be updated as new song lists are added. Check out this awesome list of 100+ easy guitar songs. Great for both beginners/intermediary guitar players wanting to learn chord and tabs songs. This post includes the top 70+ GREATEST fingerpicking songs of all time. If you’re looking to get serious about fingerpicking, check out this list. If you want to impress a girl by playing her a guitar love song, check out this list of 25 great songs she’ll be sure to love. Get into the holiday spirit with these 40+ classic Christmas song chords and tabs that are easy to play and everyone can sing along to. If you want to learn more blues guitar songs, check out this ESSENTIAL list of 50+ legendary 12 bar blues songs featuring a variety of artists. This post includes the top 75 GREATEST acoustic guitar songs that ever existed. 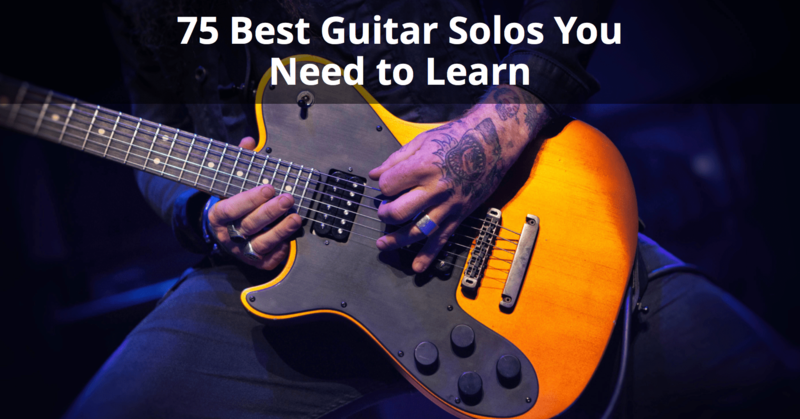 If you’re looking to learn a new song, check out this list. Check out this comprehensive list of 50+ easy guitar riffs with all tabs and video lessons INCLUDED. Great for both beginners/intermediary guitar players.